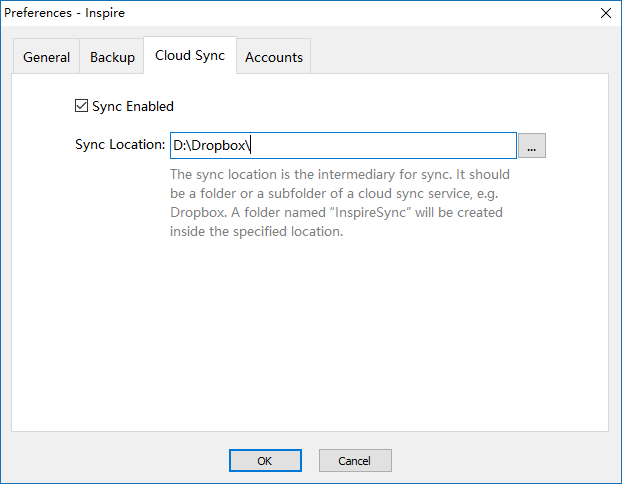 Cloud sync allow you to seamlessly sync and share files among multiple PCs with public cloud services such as Dropbox, Google Drive, OneDrive and many more. Repeat the step on your other PCs. Ta-da! Your copies of Inspire should then sync with one another. Now you can write on different PCs and have them all at one place.